Each play slip has 5 panels marked A-E.
Each panel contains three columns of numbers ranging from 0 to 9. Select your BET AMOUNT from $1, $2, $5, or $10. Select your BET TYPE – STRAIGHT, BOX, STRAIGHT/BOX, FRONT PAIR, BACK PAIR, SPLIT PAIR. There are four PICK 3 draws a day, so decide which game you want to enter by marking your selection in the column headed TIME OF DRAW. You can mark one box only from a choice of MORNING, MIDDAY, SUNSET, EVENING or ALL. PICK 3 has an ADVANCED PLAY feature that lets you play your choice of games for any day of the week. You can select to play for up to seven days. That’s up to four draws a day, seven days a week with three prize payouts giving you up to 84 prizes to aim for with each game panel! Alternatively you can play in advance by selecting how many draws you wish your numbers to run for in the NUMBER OF DRAWS column. For example if you selected 4 in this column and had selected MIDDAY in the left hand column, then your numbers will be entered into the next four consecutive MIDDAY draws. You can elect to play the ADVANCE PLAY feature or the NUMBER OF DRAWS feature but NOT BOTH. Use only blue ink, black ink or pencil for marking. Red Ink will NOT work. If you make a mistake mark the “VOID” box. DO NOT ERASE! STR Straight Bet. A Straight wager wins when the selected three-digit number matches the winning numbers exactly as drawn. 3 Way Box Bet. If one digit is repeated (e.g. 477) there are three ways of winning and a “3-way box” results. For example 477, 774, 747. 3-way box pays out just over double a 6 way box because a 3 way box result is more rare. STR/BOX Straight & Box Bet. A player may also select a “Straight Box” option, which results in a straight bet and a box bet with the same numbers selected for each bet type. This option shall produce two separate wagers (one straight wager and one box wager) and will cost twice as much as a straight wager - $2. FRONT PAIR Pairs – wagers require only the selection of two (of the three digits) and choice of “Front Pair” or “Back Pair” bet. Front Pair – wager wins when the number selected matches the first two digits (high order) of the winning three-digit number in exact order. Example if you picked 1 2 3 and 1 2 9 are the winning numbers you win on the first two. BACK PAIR Pairs – wager wins when the number selected matches the last two digits. Example if you picked 1 2 3 and 5 2 3 are drawn. SPLIT PAIR Split Pair Bet Player matches the first and last numbers drawn. Example if you picked 1 2 3 and 1 5 3 are drawn. Drawings are held daily at 10:00, 1:00, 6:00 and 9:00 p.m. Tickets may be purchased until 5 minutes before the drawing. Tickets purchased after that time will be for the next drawing. After selecting your numbers and options, check your play slip before handing it to a Lottery retailer. The Lottery terminal will print a ticket which is your proof of purchase and entry into the draw. Always check your ticket to ensure it has the numbers you selected and the draws in which you want to play. The Lottery’s gaming software is programmed, to meet the Lottery’s internal risk management requirements, to restrict the per draw prize liability exposure on the Pick 3 game to $500,000 per bet type; this means that, for example, in the event that betting on a particular sequence of numbers is so heavy, the Lottery’s exposure reaches $500,000 for any bet type , for example, a 1-2-3 sequence, the system will automatically bar and decline further bet transactions of the sequence at all lottery terminals. The effect on the potential prize payouts in this very rare scenario is that prizes would be paid on a pari-mutuel basis, if the sequence of numbers were drawn. Draw results are available on this website, at authorized Lottery retailers and at (246) 434-2222. * Sign the back of your ticket in the space provided. 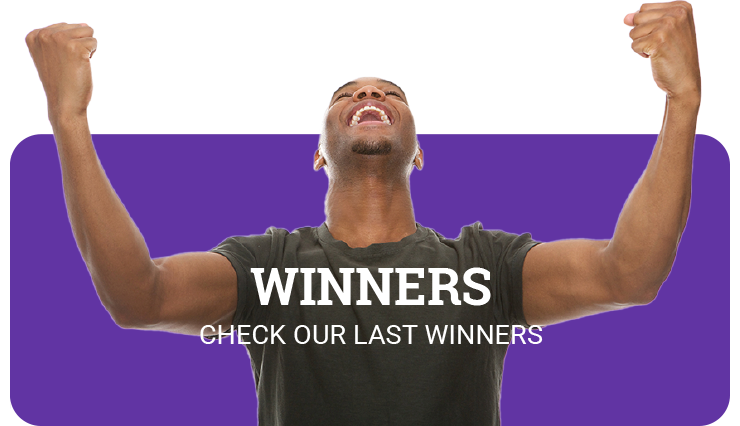 * You can claim your prizes at any Lottery agent or at the Lottery office. * Winners of prizes over $750 must have a valid ID to claim a prize and collect it at the local Lottery office. * All prizes must be claimed within 90 days after draw date. * All prizes are payable in local currency only. * If you claim a prize on a winning Advance Play ticket before all of the draws on the ticket have occurred, you will be issued an exchange ticket for the remaining draws with the same play numbers as the original ticket. * You must present a valid ticket to claim a prize; the ticket is the only proof of your number selection and is the only valid receipt to claim a prize. A play slip does not constitute evidence of a winning ticket or numbers selected. * The Lottery is not responsible for lost or stolen tickets. * Tickets, transactions and winners are subject to the Lottery rules, regulations and procedures. * Tickets are void and will not be paid if unissued, illegible, previously paid, mutilated or misprinted, not properly registered with the Lottery Central Computer, or altered in any way. * You must be 18 years or older to purchase or redeem tickets. © Copyright 2019. The Barbados Lottery. All Rights Reserved. Must be 18 or older to play. Play responsibly.